We were quite impressed with the Surface Go launched in 2018: a smaller, less powerful, less expensive version of the Surface Pro devices that looked to take on the iPad Pro and Samsung Galaxy Tab S4 directly. Now the question is what Microsoft will do for a follow-up. 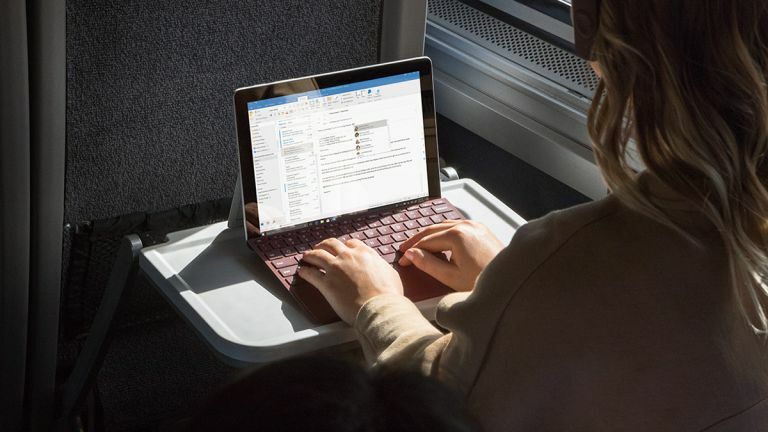 It's still relatively early days to be thinking about a Surface Go 2, but Microsoft has shown a commitment to updating a lot of its hardware every year, and of course the rumour mill never shuts down. Here's what we can expect from an updated 2019 Surface Go 2 device. What we do know for sure is that the first Surface Go was unveiled in August 2018, for a starting price of £379/$399. Might we see the Surface Go 2 in August 2019? Or perhaps even sooner, as Microsoft looks to keep up the pressure on the iPad? Microsoft has started releasing an updated version of the 12.3-inch Surface Pro every year, so why not the cheaper 10-inch version as well? That would put a Surface Go 2 launch somewhere in the summer of 2019, which sounds about right. As yet there haven't been any notable rumours about a Surface Go 2 launch, but August 2019 is still some way off. As for price, this is one of the main selling points of the Surface Go we have now – so we can't see Microsoft messing with this too much. When the Surface Go 2 arrives on the scene, it's probably going to once again come in at under £400/$400. Since Microsoft started making Surface hardware – from the Surface Go to the Surface Studio – it hasn't varied its original designs too much. That applies to the Surface Pro range as well, and we'd expect it to apply to the Surface Go too. In other words, the Surface Go 2 is likely to look a lot like the original Surface Go. Considering hardware makers are now so obsessed with banishing display bezels from their designs as much as possible, this is one area we might see a tweak in the overall look of the Surface Go 2. It would certainly put it more in line with the 2018 iPad Pro tablets, which have bezels that are thinner than ever before. Speaking of thinness, the original Surface Go is 8.3 millimetres (0.33 inches) thick, and this is another area where the Surface Go 2 might offer an improvement. With less powerful components, it can afford a more compact design. The front and rear-facing cameras on the Surface Go (5MP and 8MP respectively) might well get an upgrade too – they're currently stuck on a 1080p video resolution, and while video recording might not be the main reason you buy a Surface Go, it's a nice bonus. We're not expecting too many other features to change with the Surface Go 2. Once again, you should be able to trick out the tablet with a clip-on keyboard and a stylus, if you've got the money to spare. There's little point in launching a Surface Go 2 without upgrading the internal specs, so it's an absolute certainty that the Surface Go 2 is going to offer an improvement on the Intel Pentium Gold 4415Y chip inside the 2018 Surface Go. Something like an Intel Core CPU could be on the cards, though it's still early days in terms of working out which Intel chips are going to be available to manufacturers in 2019. Microsoft may well go ultra-budget again, though the 4GB of RAM and 64GB of storage base unit may well get a boost with the Surface Go 2. Windows 10 is another certainty, again probably in S Mode by default, as it is with the Surface Go. If you want to be able to run full Windows 10 desktop apps on the Surface Go 2, you'll be able to – let's hope some of them are better optimised for tablet use by the time the new device turns up. USB-C is already on the Surface Go, so the Surface Go 2 should follow suit. In terms of tangible leaks and rumours, it's been quiet so far when it comes to the Surface Go 2 – it's not definite that Microsoft will launch a new model – but as soon as we hear any whispers, we'll update you here.